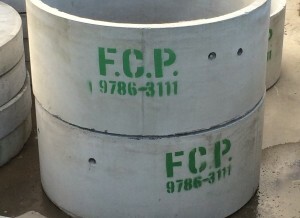 Frankston Concrete Products (FCP) are Victoria’s premium supplier of packaged pump stations. 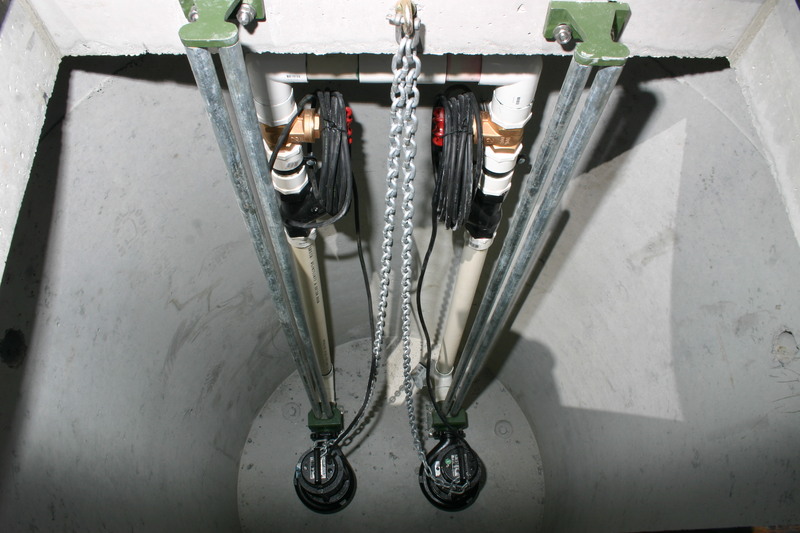 When your gravity sewer or stormwater systems are just that little (or a lot) too high to connect directly in to, an FCP packaged pump station is your solution. 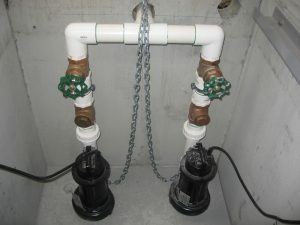 Who needs a packaged pump station? The answer is – individual houses, schools, hotels, caravan parks, sports clubs, medical centers, residential subdivisions, industrial complexes, anyone really. 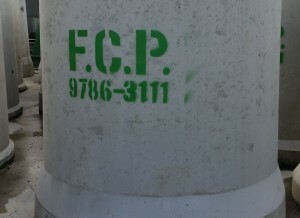 If you can’t achieve gravity to the existing Legal Point of Discharge (LPD) then you need an FCP packaged pump station. 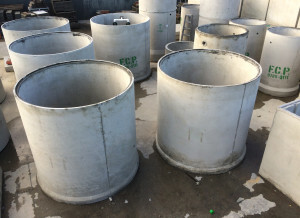 Unlike some of our more well-known Exclusive Brethren affiliated competitors, Frankston Concrete Products are extremely accommodating and flexible in our approach to the manufacture, supply and delivery of our packaged pump station. 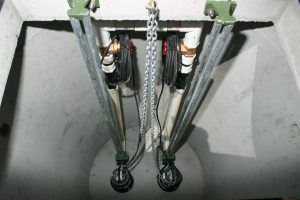 If you want the whole kit-and-caboodle but would rather wait until closer to handover date for the fit out and commissioning aspect – not a problem. 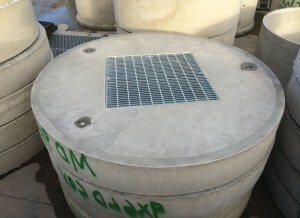 If you want a class D access cover instead of a class B – no problem. 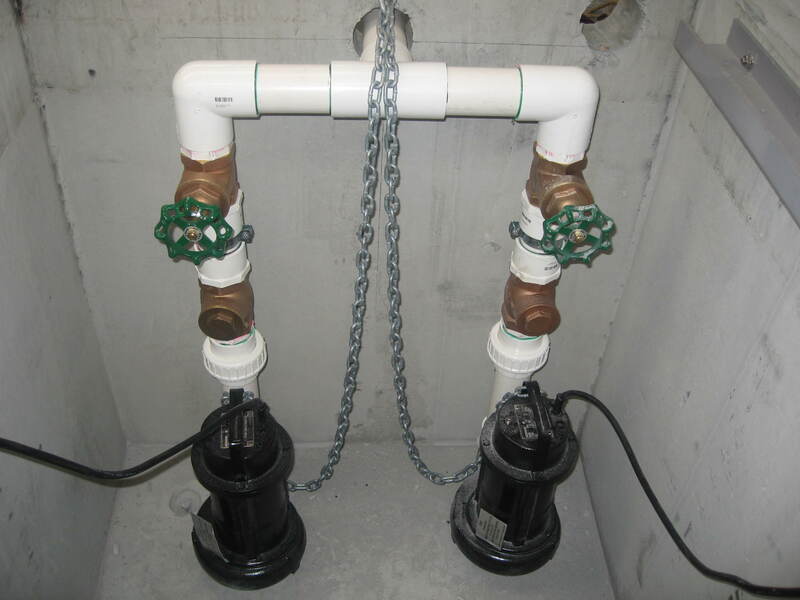 If you need some help estimating what kind of flow rate your pumps may be required to do – just ask. 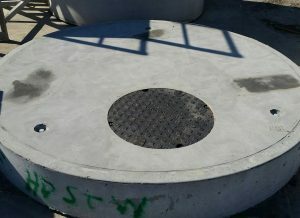 All Frankston Concrete Products pump wells conform to the Local Water Authority requirements and are supplied with cast iron air tight access covers or galvanized grates and frames and are generally encased in concrete. 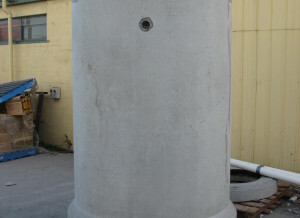 Frankston Concrete Products can also supply packaged pump stations in polyethylene for those occasions where a crane truck might not have access or for that rare occasion when the project has accelerated past the point of no return (like they’ve built the ground floor above the basement already and forgotten to put the pump well in the basement. It’s amazing how many times this actually happens)! 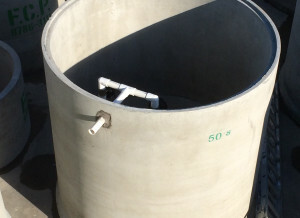 Polyethylene packaged pump stations are supplied with light weight poly lids as a standard but can be supplied with class B access covers or grates and frames. 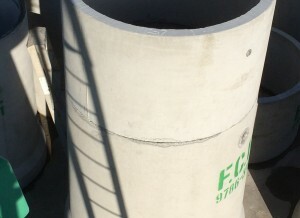 Each packaged pump station sold by Frankston Concrete Products is supplied with all internal pipework such as gate and check valves. We also supply wall mountable pump control panels (with lockable steel door option), float level switches and a commissioning service to get your packaged pump station up and running! Some of our customers have started using our concrete pump well extension units as planter boxes! 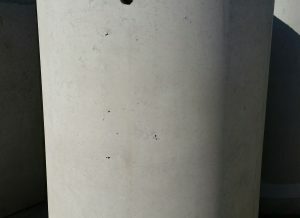 For more information call Frankston Concrete Products. 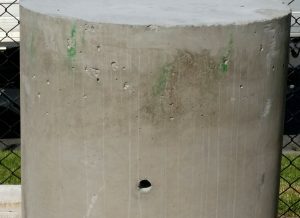 So ask Frankston Concrete Products on 03 9786 3111 or email your inquiry to sales@frankstonconcrete.com.au for a fast and competitive quote on a packaged pump station.